Our latest order from In the Deep Hue Sea has arrived and, as always, it’s a stunner. Founder, Erica Roberts, says “I have always been attracted to vibrant, deep, saturated yarns.” And it absolutely shows in her colorways. From semi-solids to gradients to modern speckles and complex neutrals, ITDHS totally nails it. A visit to their Instagram just might make you swoon! 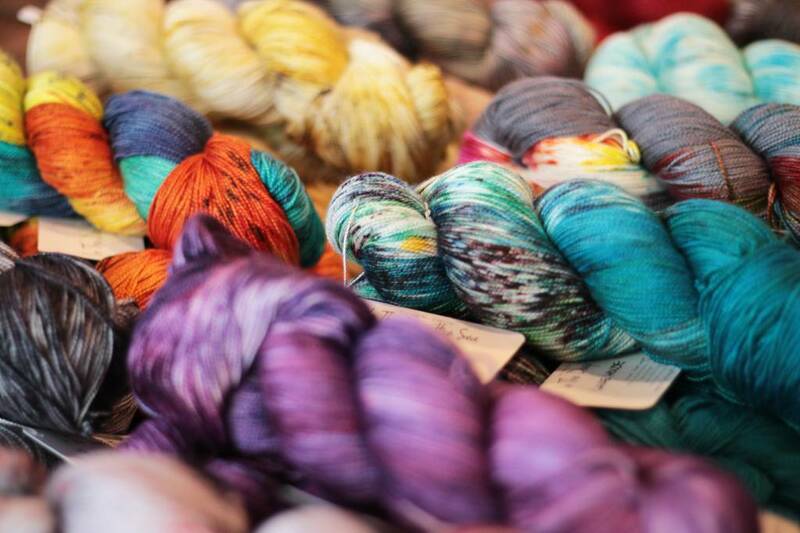 As with many indie dyers, Erica began dying to get the colors she wanted. She dyed nights and weekends, around a full-time job, while also raising two young children. That’s passion! Her hard work (and a healthy dose of talent) slowly enabled her to ditch the day job and grow a flourishing independent business. We love knowing that our yarn purchases are supporting women-owned businesses! We’ve ordered a luscious merino/silk blend in 11 colors, and we’re not being hyperbolic when we say this yarn will go quickly, and this will be the last we get for a little while as Erica goes on maternity leave for the fall (congratulations!!) Come on in to gaze at, pet and purchase these beauties!